It isn’t a secret that the globe is warming. A large group of environmental advocates loudly proclaims that Mankind is responsible for this increase, and that isn’t a secret, either. 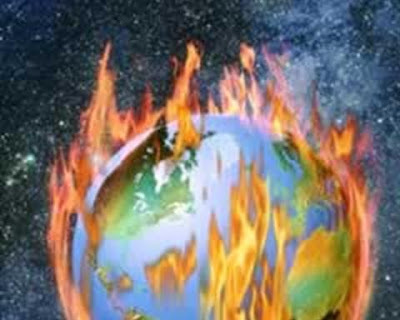 What is a secret is that while global warming may be a reality, there is no convincing proof, or even a consensus among authorities, that Man’s activities are the cause and, furthermore, many authorities do not think the tiny increase is a bad thing. If only sensitive national security information was as well protected as the unpopular side of the global warming controversy. Professional coverage of the global warming debate by the media would arm the American people and prepare them to make sensible, well-informed decisions about how to address this issue and related issues, or whether anything really needs to be done. Media grade: D-, and that’s charitable. The result of the media’s disgraceful performance is that the hysterical rhetoric of the global warming fanatics is primarily what Americans and our leaders hear, and in the absence of the opposing view, otherwise sensible people are manipulated into supporting measures that address a situation that doesn’t exist, somewhat like having the fire department go to a house and start spraying it with water and breaking through the roof to fight a non-existent fire. Some people think that even if the threat has been overstated, taking measures to reduce greenhouse emissions by driving less, buying more fuel efficient vehicles, changing to blended fuels, using solar energy, and other such things, are smart and should be done anyway. However, while these measures certainly won’t hurt the environment, they really won’t help it, either. But worse, when people operate under false premises, they make bad decisions and implement measures that are neither called for nor beneficial, and will certainly raise the cost of living and therefore lead to lower living standards. ** "Over long periods of time, there is no close relationship between CO2 levels and temperature." ** "Humans contribute approximately 3.4 percent of annual CO2 levels," meaning that humans do not produce the vast majority of CO2. ** "There was an explosion of life forms 550 million years ago (Cambrian Period) when CO2 levels were 18 times higher than today. During the Jurassic Period, when dinosaurs roamed the Earth, CO2 levels were as much as nine times higher than today." ** “Polar bear numbers increased dramatically from around 5,000 in 1950 to as many as 25,000 today, higher than any time in the 20th century." But, Rep. Dingell must not have read this information, and that is likely because he would have had to hunt for it, rather than having the media tell him about it. Damning evidence of the media’s incompetence and bias continues to mount, and specific instances of malfeasance—such as The New York Times’ recent sweetheart deal for a slanderous politically oriented ad—and CBS News broadcasting a fabricated story about President Bush, paint a picture of spectacular disservice. Everyone is upset that Michael Vick engaged in dog fighting and killing dogs, but are mostly silent about the strong likelihood that the organs they depend upon for vital information are corrupt.